it was -35°C (-31°F, to my fellow Americans) out last night, and i'm still getting over something that keeps crossing the line between the flu and the common cold... so, naturally, this was the perfect time to put my deep-winter gear to the test. after 10 minutes standing on the sidewalk, listening to strings of profanity being whispered by folks passing by (it's a time-honored method for staying warm in the extreme cold of Montreal winter), i came to the conclusion that this is officially the most awesome hat on the planet. the pattern is Sunflower Tam from Norah Gaughan's Knitting Nature. the yarn is a bulky baby alpaca, purchased from my LYS (local yarn store, for the uninitiated) when they were still located near le Marché Atwater... way back when Montreal was just a place i visited in between semesters (before i lost my mind and decided it's where i wanted to stay). 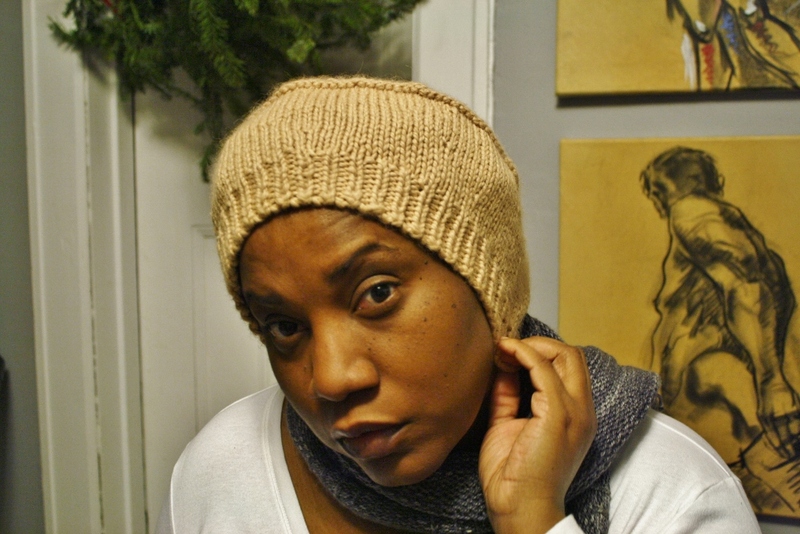 i knitted the hat around 2008, when i was lecturing in Massachusetts, but it proved far too warm for even the coldest of days, so i shoved it in a bag with plans to recycle the yarn into some other project. until... i found myself rushing out in a hurry last night, and neither the go-to fuzzy purple slouch nor the slightly-less-loved rose-pink beret were anywhere to be found, so i stuck my hand into the box of random knitted accessories above the coat rack... and out came this forgotten gem. 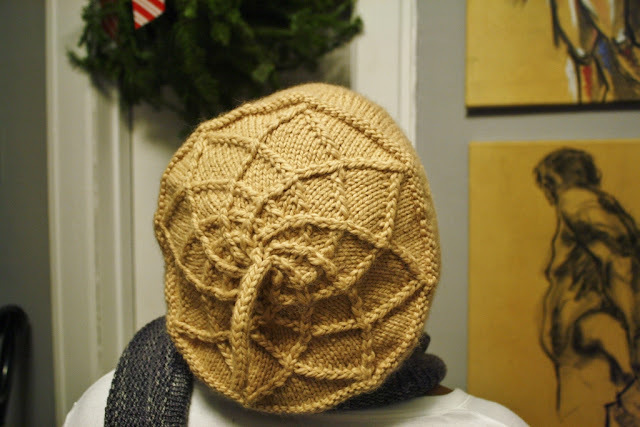 because this is "a Norah" (trust me, her designs are that recognizable), it has to be more than just a run-of-the-mill warm hat. 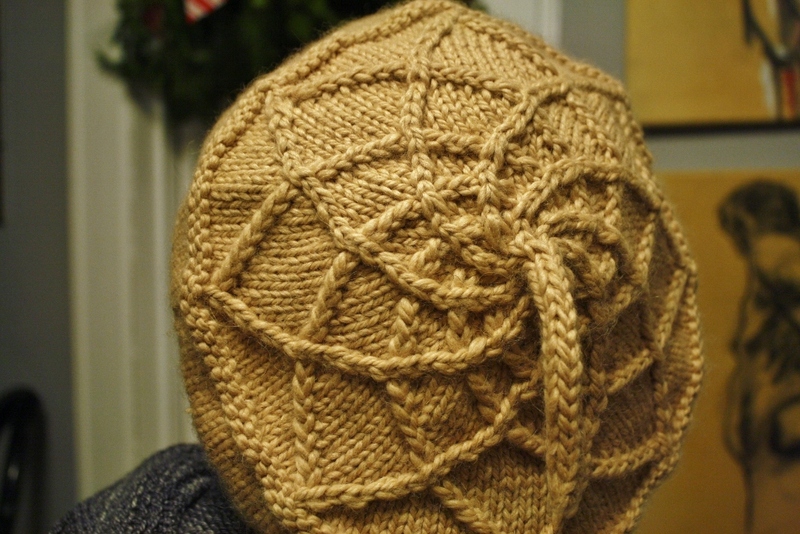 this one features an array of cables that mimic the growth pattern of the humble sunflower. 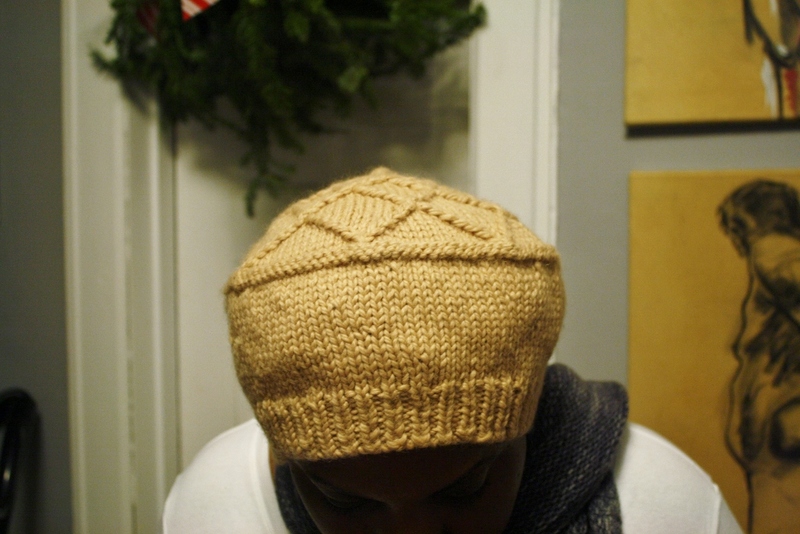 there's even a little corded "stem" to add to the cuteness factor. perfect!